This is the sixth year of the Slade/UCL Collaboration. 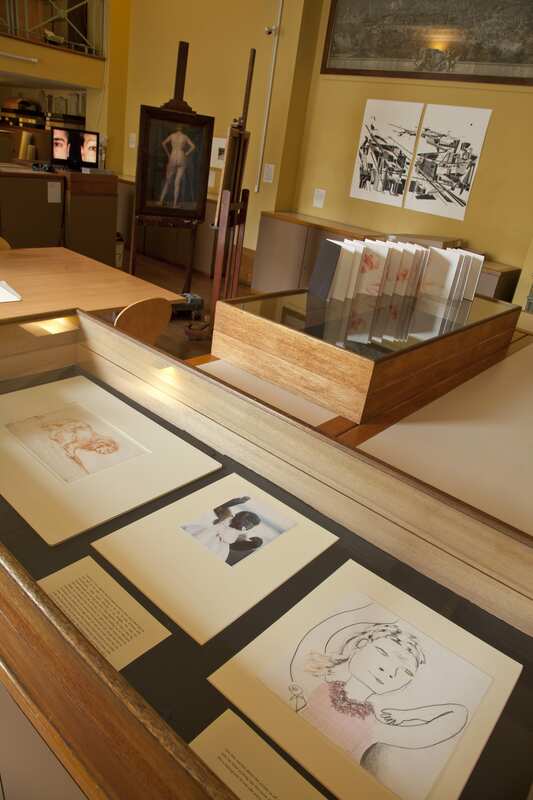 It started in 2009, encouraging Slade students to submit work inspired by art in the UCL Art Museum collection for an exhibition within the Museum’s space and the Strang Print Room. Initially, this involves Slade students attending meetings with the Art Museum staff and booking appointments to see certain works from the collection. The artists can also create pieces that are inspired by the tools, spaces, traditions and methodologies that the Museum offers. A good working relationship between the two institutions has been built up over the years. The Slade students enter the project out of their own choosing. It is a rich opportunity, allowing these students to learn how to produce work for outside of the studio and how to present their work to curators, which includes writing an in-depth proposal. 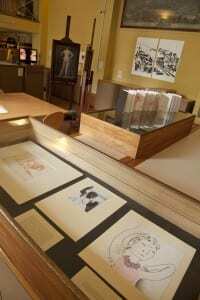 The collaboration also enables a chance to work with a professional archive. In return, the project helps to introduce new audiences to the Art Museum, to change and develop the use of its spaces, and encourage creative engagement with the collection. Titles for the projects have been (in year order): Sequel, Transfer, Moreover, Vincula, and Duet. The title for this year, Second Person Looking Out, has just been decided now that the study days are completed. 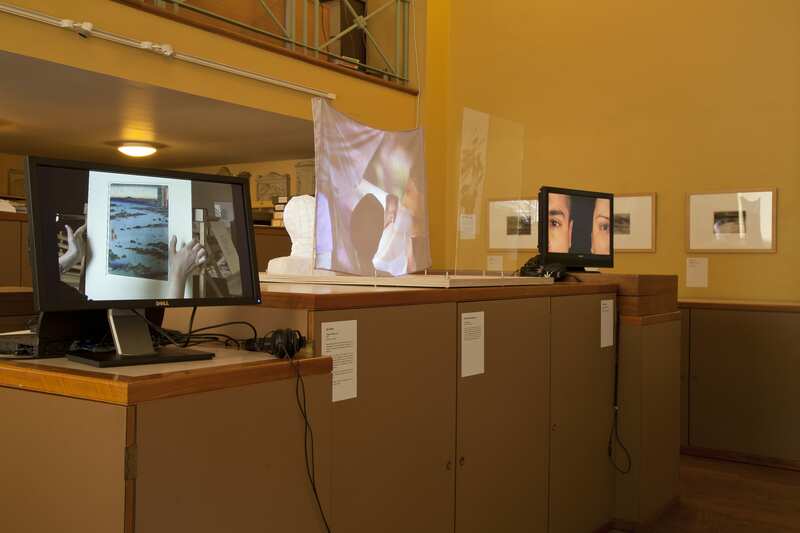 These meetings between the Slade students and UCL Art Museum staff began in January. 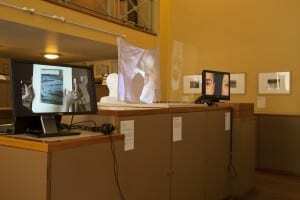 The way the final exhibition has been presented and displayed has changed each year, including a mixture of virtual and actual exhibitions for different time durations. This year will definitely produce something different and novel again, posing new challenges for the space partly because there were over 50 visits from Slade students across a period of about a month – the record so far! Not even the Tube strikes could stop the activity. Where there any main themes and patterns that emerged in the types of artworks the Slade students requested to see at the UCL Art Museum? We had around 50 research appointments in the lead up to this year’s proposal deadline, and the topics ranged far and wide. Requests varied, from images of spectatorship to palm trees, the backs of paintings and insides of cupboards, traditional etchings and an album of photographs, the Slade students collectively unlocked every nook and cranny of the Art Museum. What are some of the crucial things you look out for during the selection process for the exhibition? The panel considers a few things when reviewing the proposals – what is the connection to the UCL Art Museum, how well realised or conceived is the work, is whether what is being proposed is possible. This year, we also looked at how the proposals engaged with the One Day in the City Festival, in which the collaboration will be taking part. Can you tell me about a significant event that has occurred during the process so far? We have an exhibition title! After an intense meeting with all the selected participants, and a few misfires (mostly my own), the artists have arrived at Second Person Looking Out. Bit of trivia: this is the first-ever collaboration title with more than one word. I think the biggest challenge is in the selection – creating an exhibition from a record number of proposals of work, by artists with whom we are only just beginning to form relationships. We have a great selection panel between ourselves, and Slade staff who are so supportive of their students, but as a result there are many invested parties to consider and a lot of interesting proposals to review. What’s the most interesting or difficult question I could ask you about this collaboration? What I think the exhibition will look like at the end of it all. What do you consider to be the most important next step? We are in the middle of visiting studios, arranging meetings and conducting further research into the collection to support the artists at work. I think the next step for us is actually stepping back, to allow the making and investigations to take their natural course in the lead up to submission. It’s not long now until the exhibition will be up and running with the dates being 12 May – 13 June. The end of the exhibition will culminate with the One Day in the City annual festival on 13 June, which is a celebration of London, literature and art. So watch this space for more news about the project, the selection process and to see snippets of the installation in action.